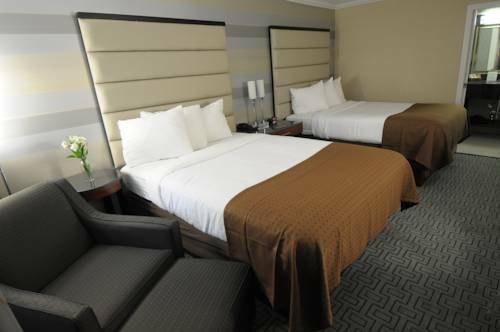 Welcome to the Holiday Inn Plainview - Exceptional Service and Ideal Location Whether working or relaxing, the Holiday Inn Plainview is the perfect place to revive and stay! If visiting Plainview for business, you will be pleased to know that we feature a modern Business Center, as well as on-site meeting facilities that can accommodate 5-200 guests. We are conveniently located on the Long Island Expressway Exit 46 near several businesses including Canon, Geico, Capital One, Grumman Studios, Coinmach, Leviton, Bank of America, Sleepys, Nikon and other numerous businesses located along the Route 110 Corridor. Take advantage of our ideal Central Long Island location and visit New York City, the wineries of Long Island, Gold Coast Mansions, Long Island Children's Museum, The Cradle of Aviation, Long Island Beaches, Tanger Outlets, Walt Whitman Mall & Roosevelt Field. Catch your favorite musical artists at Nikon Jones Beach Theater, NYCB Theater or The Paramount. Sports fans can catch a game at Bethpage Federal Credit Union Park, Nassau Coliseum, Citi field or play a round of golf at world famous Bethpage State Park. Enjoy a meal or a cocktail at our Bistro 46. Stay fit with our well-equipped Fitness Center & outdoor pool. We look forward to seeing you! Bistro 46: Join us for breakfast, lunch or dinner at Bistro 46. Enjoy our continental American cuisine prepared by our world class culinary team. Hampton Ballroom: The Hampton Ballroom is the perfect facility whether you're having a wedding or corporate event. Well lit with natural lighting, the Hampton Ballroom is a spacious room that can accommodate any style set up for events of up to 250 people. Executive: Our Executive Room is perfect for your small meeting. Located right off the main lobby with customizable catering available for your meeting. Board Room: Our Board Room is perfect for your small conference. Located right off the main lobby, with a flat screen TV mounted in the room and customizable catering available for your meeting. Hicksville - Long Island RailroadThe Long Island Railroad is a great mode of transportation and it only takes 45 minutes to reach Manhattan. Jones Beach State ParkMost renowned of all Long Island State Parks, filled with restaurants, concessions, boating, fishing, surfing, concerts and so much more. Whaling MuseumThe Whaling Museum collects, preserves, and exhibits objects and documents pertinent to whaling, especially the regional whaling history of Long Island, whale conservation, and the history of Cold Spring Harbor as a maritime port.